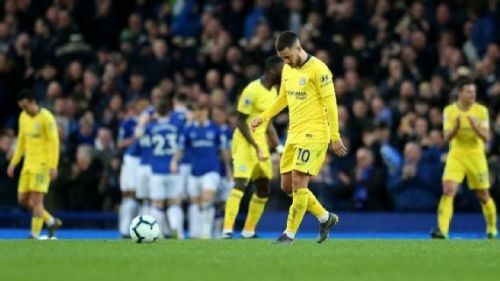 Chelsea’s hopes of qualifying to the Champions League next season suffered a huge setback as they lost 2-0 to Everton at Goodison Park last night. 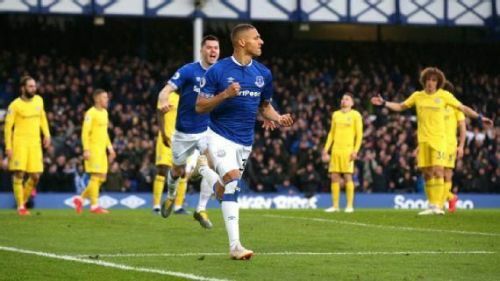 Goals from Richarlison and Gylfi Sigurdsson put major doubts in the minds of Chelsea supporters about their team’s chances of finishing in the top 4 this season. It was a game of two halves - Chelsea were dominant in the first half, while Everton absorbed the pressure and delivered the knockout punch in the second half. Everton received a penalty due to Marcos Alonso’s foul on Richarlison, with Sigurdsson scoring in his second attempt to double the Toffees' lead after the Brazilian opened the scoring early in the second half. Eden Hazard hit the post in the first half and gave Chelsea some great momentum in the initial stages. However, Marcos Silva’s half-time talk did the magic for the Toffees as they came out strong in the second half to pick up the 3 points in the Premier League clash. Here are three reasons why Chelsea lost. #1. Chelsea’s failure to take momentum into the second half. If the game was judged on the first 45 minutes, it were Chelsea all the way. They passed it around effortlessly and Hazard was the major trouble creator for Everton's defence. Although Higuain was not at his best, he came close to scoring once. Somehow Chelsea let the pressure off in the second half and never really recovered from that. Everton had few chances but were clinical enough to put the game to bed. Maurizio Sarri has been accused of not having a plan B in case the team fails to implement his preferred style of play. He is too stubborn in his approach and that is what cost Chelsea an important match in the run-up to the top 4 finish. Goalkeeper Kepa Arrizabalaga has not been in the best of forms after the League Cup final showdown with the manager. He could have done better to save both the goals.